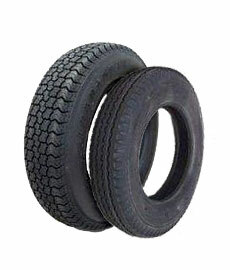 TRAILER TIRES .COM, The Trailer Tire Superstore! 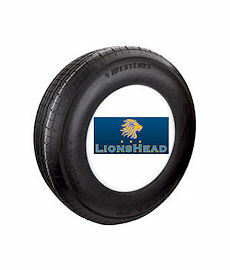 Huge selection of LOADSTAR, TOWMAX, LIONSHEAD & GOODYEAR brand trailer tires, wheels & tire accessories for Boat, Utility, RV, and most Commercial / Recreational trailers. 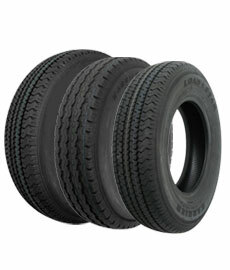 TrailerTires.com offers discount pricing and fast shipping on over 500 in-stock models of trailer tires & rims to the United States & Canada. 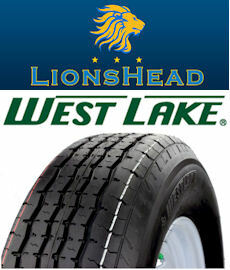 CLOSE-OUT SPECIAL: 15% Off All LionsHead Tires / Wheels While Supplies Last! 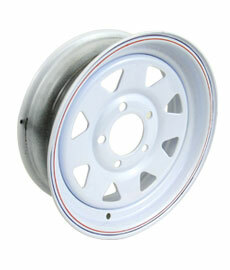 Proper wheel selection is a very important component of your trailer gear system. 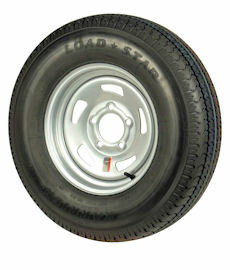 When replacing your trailer tires and trailer rims it is critical that the proper size and load range be selected in order to match the load requirements of the trailer. 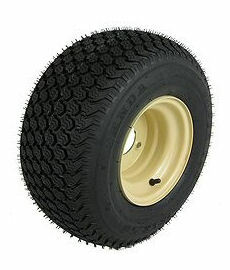 The following characteristics are extremely important and should be thoroughly checked when replacing trailer tires. 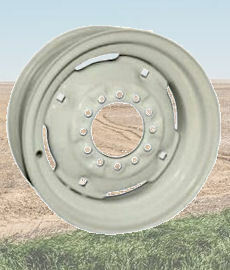 Quite often consumers are uncertain how to read or interpret specifications on a tire side wall. 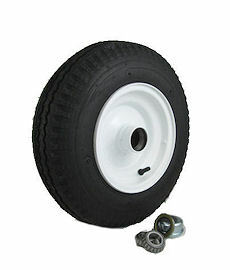 This problem is compounded by the Trailer Tire Industry's use of three different size identification systems on trailer tires. 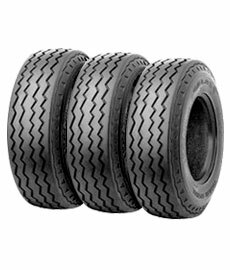 The following are examples and explanations of tire code. 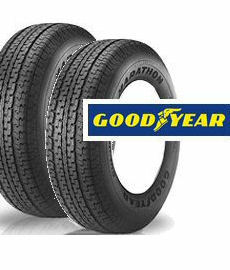 Tire 'load range', or the maximum weight each tire can safely support, must be considered when selecting the proper size tire for your application. The load range and maximum weight capacity are indicated on the tire side wall. 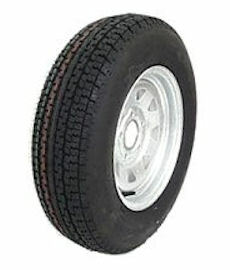 TrailerTires.com carries a full line of nylon bias ply boat trailer tires and utility trailer tire. 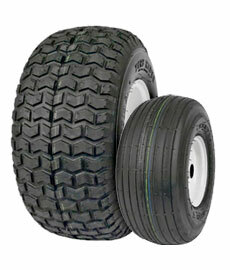 These 'Special Trailer' (ST) tires have been constructed for better high speed durability and bruise resistance under heavy loads. 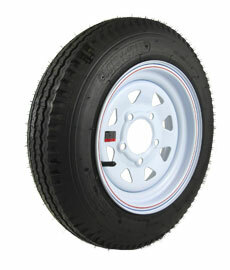 Trailer tire construction varies substantially from automotive tires, therefore it is essential to choose the correct tire for your towing application. 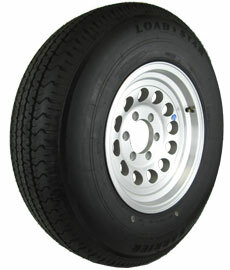 In general, trailer tires have the same load range (or ply) from bead to bead and are bias ply construction. 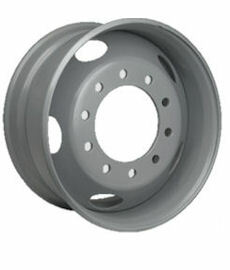 This allows for a stiffer side wall which provides safer towing by helping to reduce trailer sway problems. 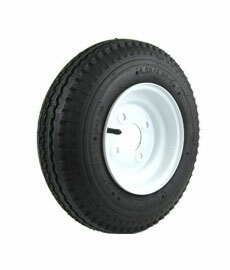 The use of 'Passenger Car' (P) tires a on a trailer is not recommended because their construction, usually radial or bias belted, allows for more flexible side walls. 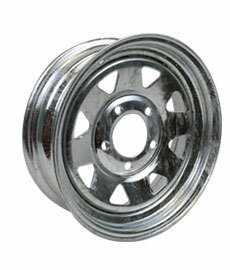 This could lead to increased trailer sway and loss of control. 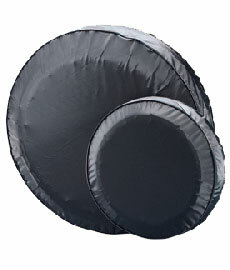 Tire 'inflation pressure' is also an important factor in proper handling as well as tire life. 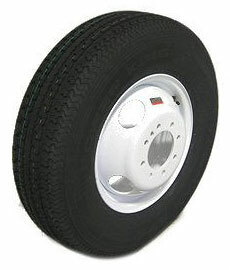 Maximum inflation pressure is indicated on the tire side wall and should always be checked when the tire is cold before operation. 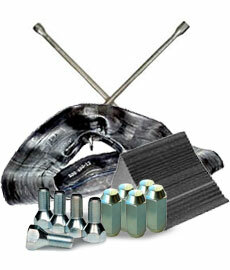 U se 60 degree cone angle zinc plated nuts or lug bolts initially tighten to 12-20 ft. lbs. using a cross tightening sequence (1,3,2,4 or 1,3,2,5,4). Finish torquing to 70-80 ft. lbs. 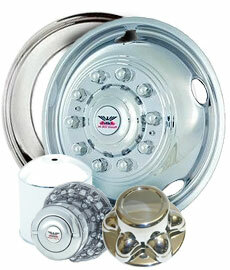 (NOTE: Nuts and studs should be clean, dry and not lubricated.) 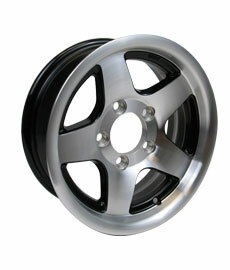 Retorque after 50 miles of travel and frequently thereafter.